Why would you want this shrub? 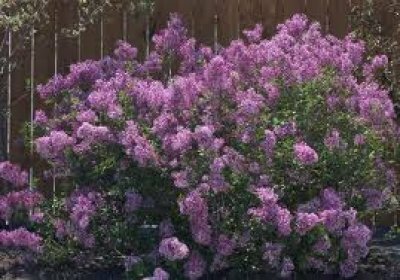 The Bloomerang Lilac is blanketed in stunning panicles of fragrant hot pink flowers with lavender overtones at the ends of the branches from late spring to early fall, which emerge from distinctive pink flower buds. The flowers are excellent for cutting. It has dark green foliage throughout the season turning yellow in the fall. The brown oval seeds and smooth gray bark is not particularly outstanding. 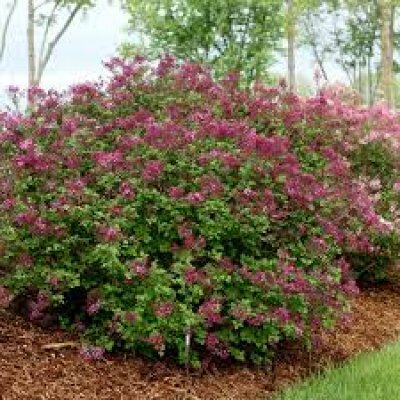 This Lilac is a dense multi-stemmed deciduous shrub with a more or less rounded form. Its relatively fine texture sets it apart from other landscape plants with less refined foliage. It is a relatively low maintenance shrub, and should only be pruned after flowering to avoid removing any of the current season's flowers. It is a good choice for attracting butterflies but not deer. 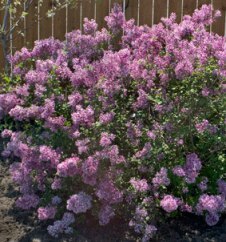 Bloomerang Lilac will grow to be about 4 feet tall at maturity, with a spread of 4 feet. It tends to fill out right to the ground and therefore doesn't necessarily require facer plants in front, and is suitable for planting under power lines. It grows at a slow rate, and under ideal conditions can be expected to live for approximately 30 years. This shrub should only be grown in full sunlight. It does best in average to evenly moist conditions, but will not tolerate standing water. It is not particular as to soil type or pH. It is highly tolerant of urban pollution and will even thrive in inner city environments.